Starbucks Has Found Its True Calling and Is Offering Ice Cream at One Store in L.A.
By now we all know that Starbucks is really just a dessert shop. None of us are going there for the drip coffee. We want frappuccinos (aka icy milkshakes) and macchiatos (not actually macchiatos), and smoked butterscotch lattes (so, like, butterbeer? ), and delicious “pink” and “purple” and “orange” drinks (that we can then playfully satirize and all feel in on the joke). 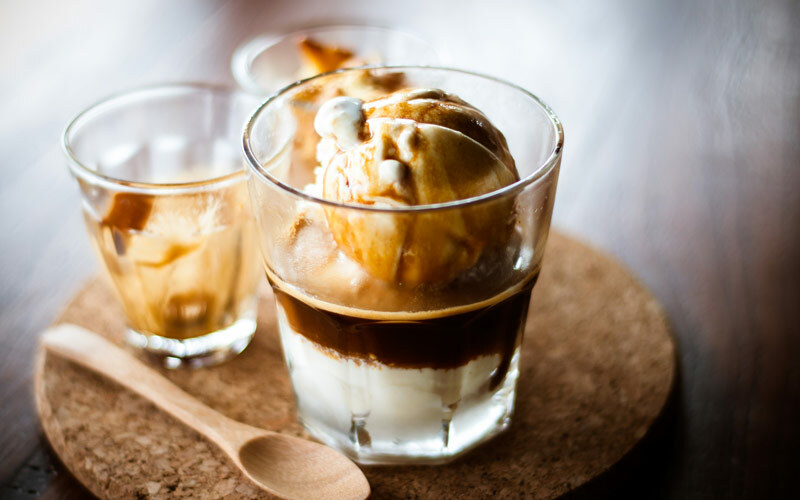 Well, thanks be to market forces and/or the benevolence of coffee goddess Caffeina, Starbucks is finally rolling out the greatest of all coffee desserts, the affogato. It’s simple: A scoop of ice cream. Two shots of espresso. Done. Perfection. The catch is that the new item is only available at 100 regular Starbucks locations in America. But, perk #483 of living in the greater L.A. area: All 100 of those locations are in our lovely neighbor Orange County. The new affogato menu includes a classic affogato, a cold brew float, and a blended cold brew malt with chocolate bitters—all made with small batch (whatever that means) vanilla ice cream from Mora Iced Creamery in Washington. Now, the good news for anyone who lives in L.A. and hates freeways: The ‘Bucks is also testing out a fancified Roastery Affogato menu at ten of its upscale Reserve bars (where they serve flights of small-lot coffee and use Chemexes and hype their oak louvered walls) and, yes, there is one in Los Angeles at La Brea and 4th. At that location a slightly pricier ice cream menu is available, with affogatos, floats, and malts made with snob-worthy coffee. This leaves us with only one question. When can we expect tiramisu?